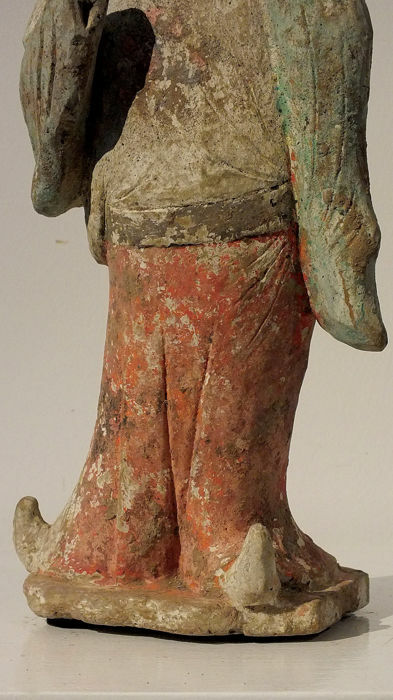 Oldtidens Kina Keramik -A Large Painted Pottery Figure of a Fat Lady, TL - High 40 cm. 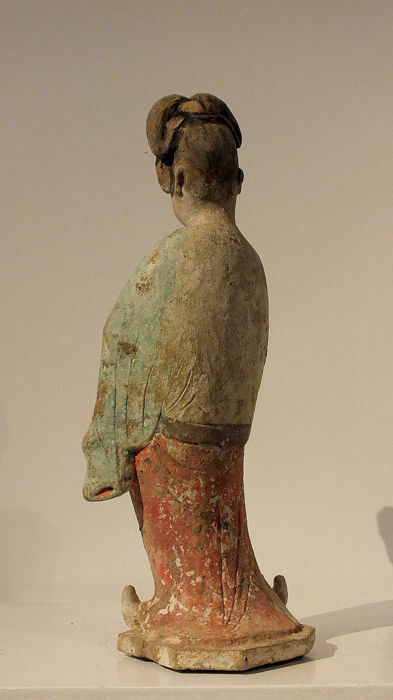 Standing wearing a long flowing gown falling in deep folds with elegant shoes peaking out from below the hem, standing atop a shaped base with hands hidden within the sleeves, painted in green and red with scattered flower-heads, the serene face with fine features tiled upwards as if looking at the sky, the hair tied into a lotus bud forming a topknot. 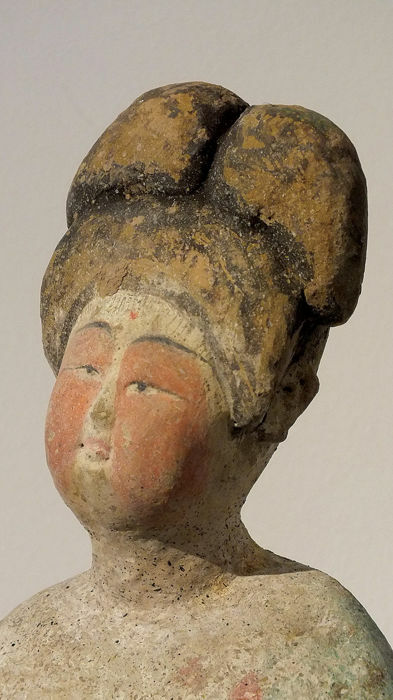 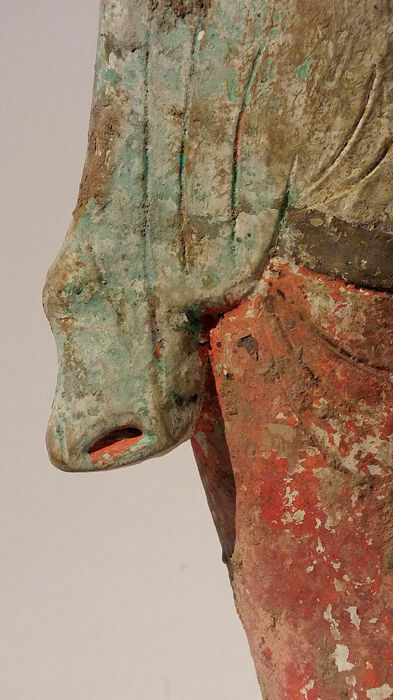 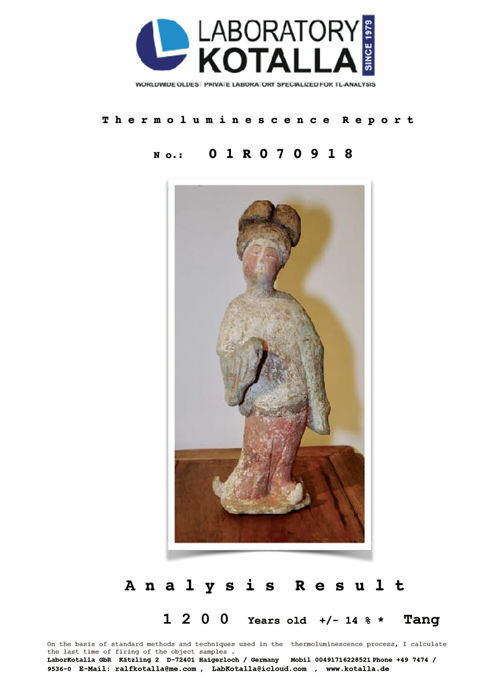 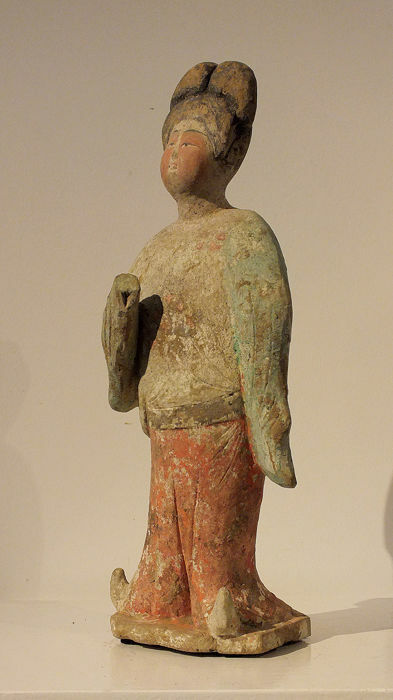 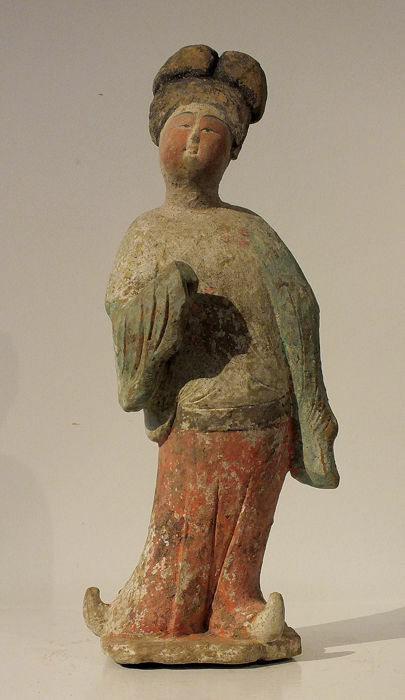 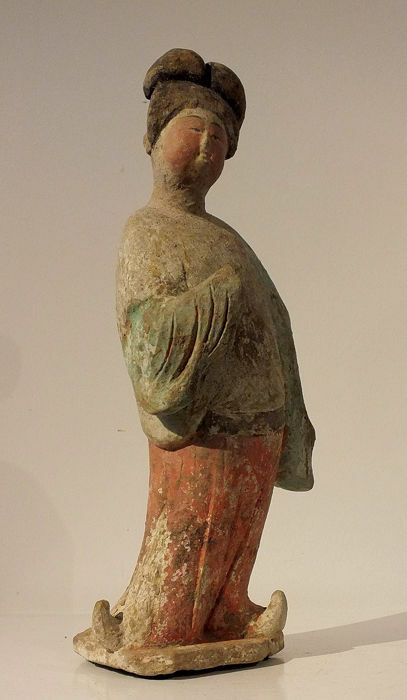 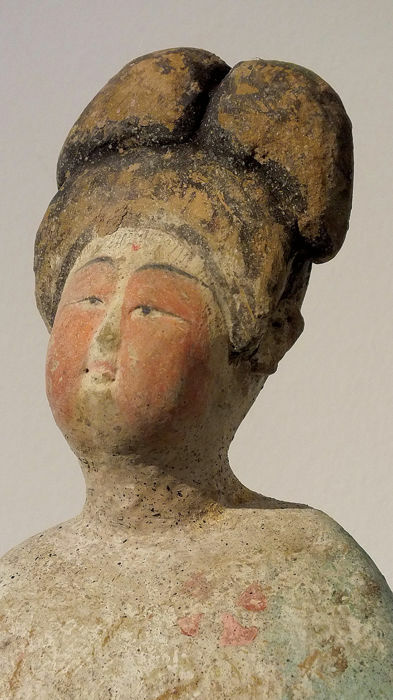 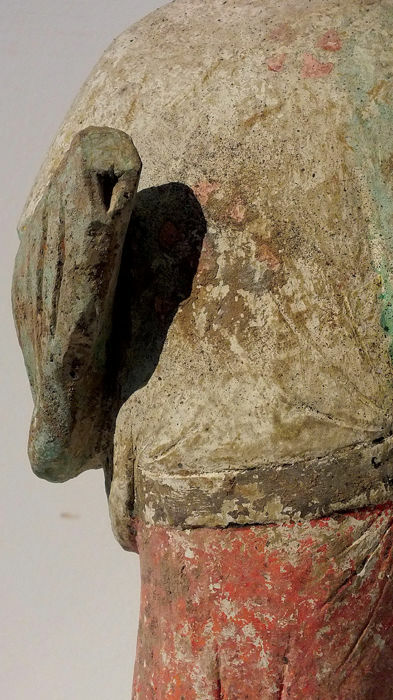 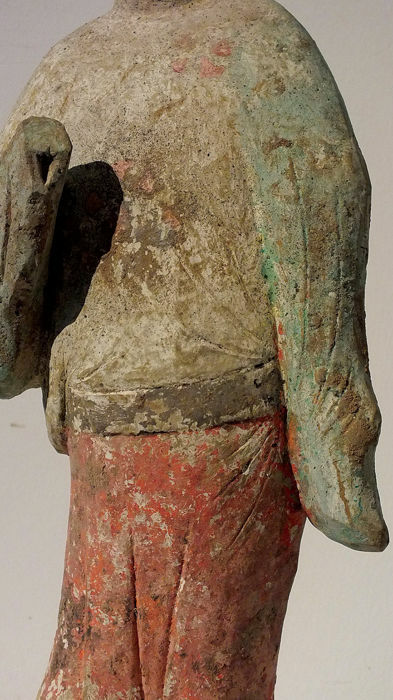 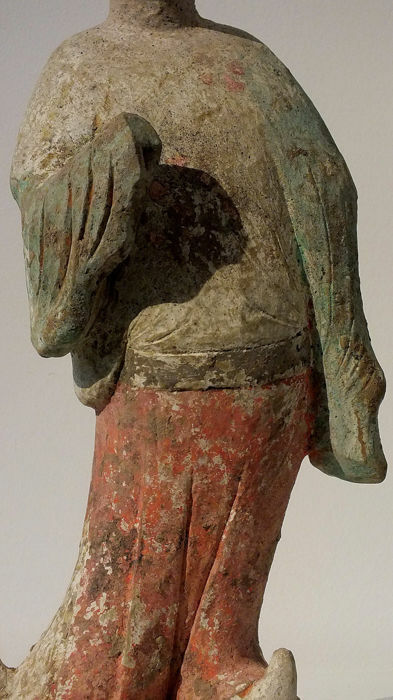 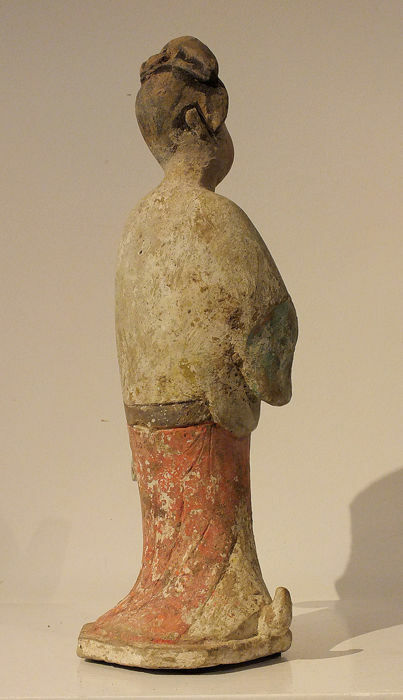 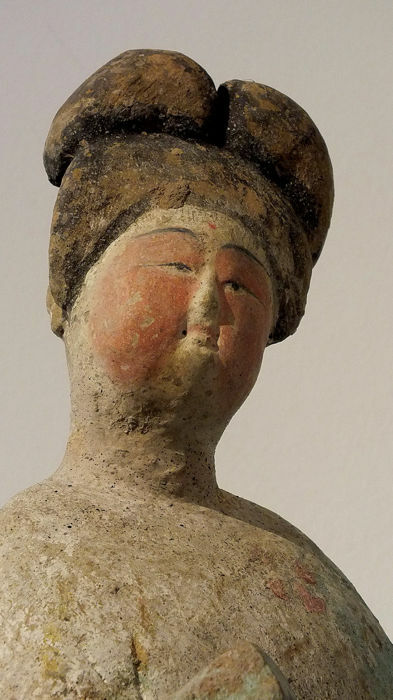 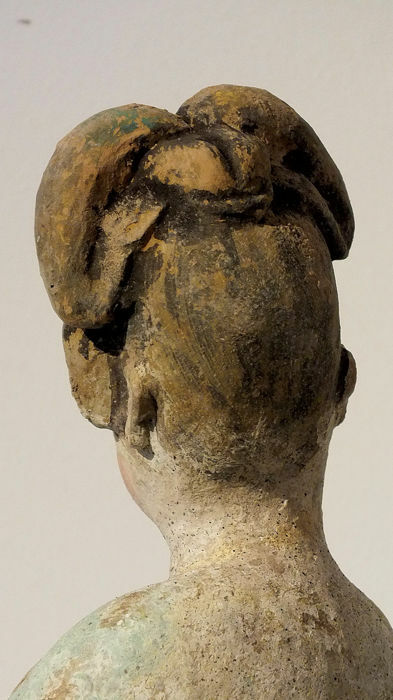 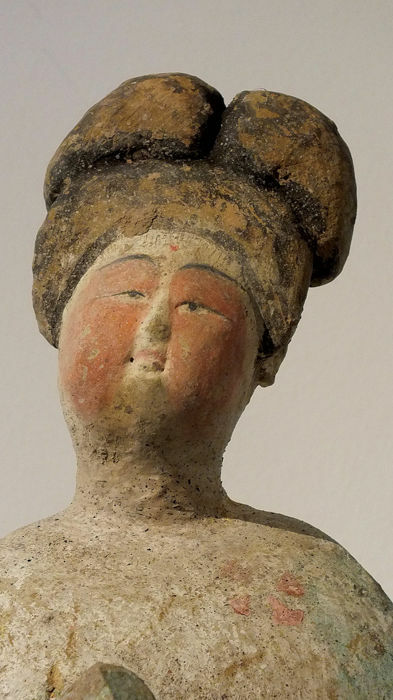 Figures of this type have been excavated from Tang tombs in the area of the Tang capital, Changan, near present-day Xian. 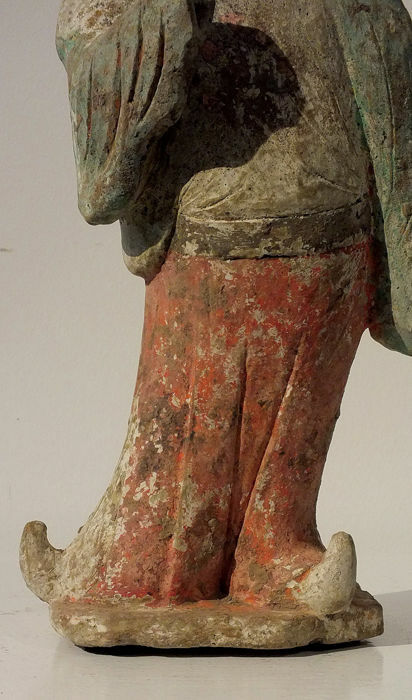 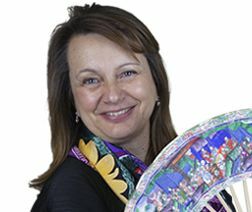 Compare the slightly large court lady in the Tsui Museum of Art, Hong Kong, which has similar scattered flower-heads on her robes.